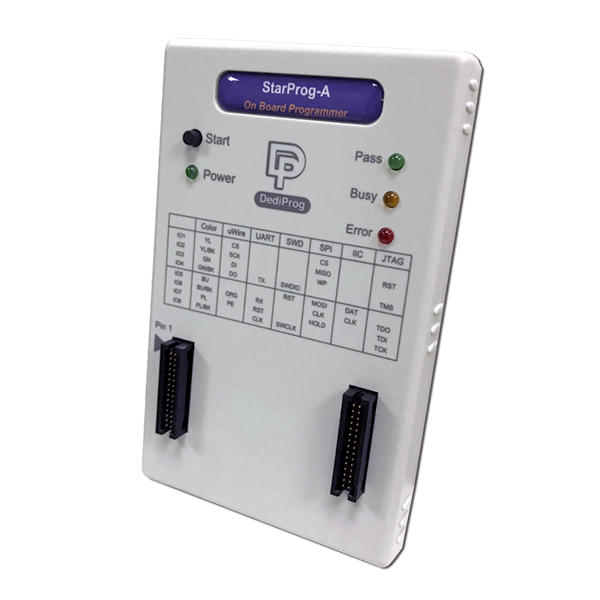 StarProg-A supports MCU, CPLD, SPI NOR Flash, SPI NAND Flash, and EEPROM on board programming (ICP/ISP). 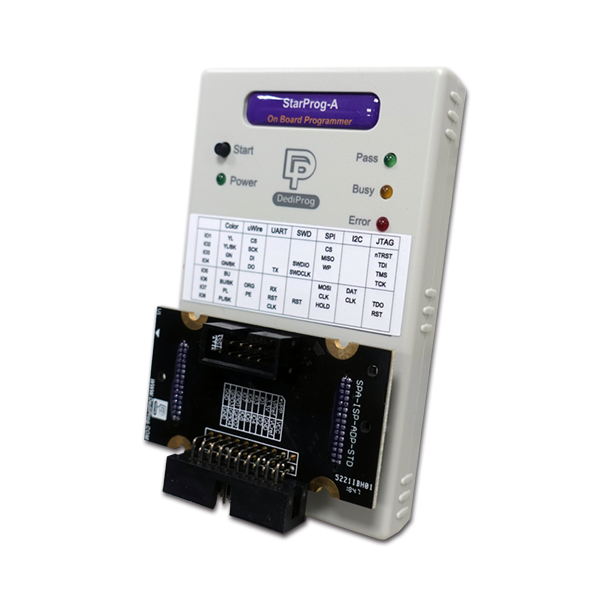 It is optimized for the integration of automated machines and can be easily used in development and mass production. 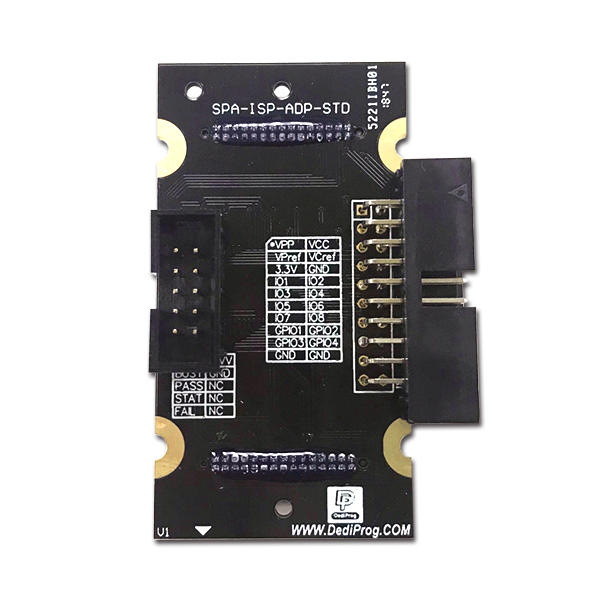 SWD, JTAG, SPI, I2C, BDM, UART, and SWIM...etc. 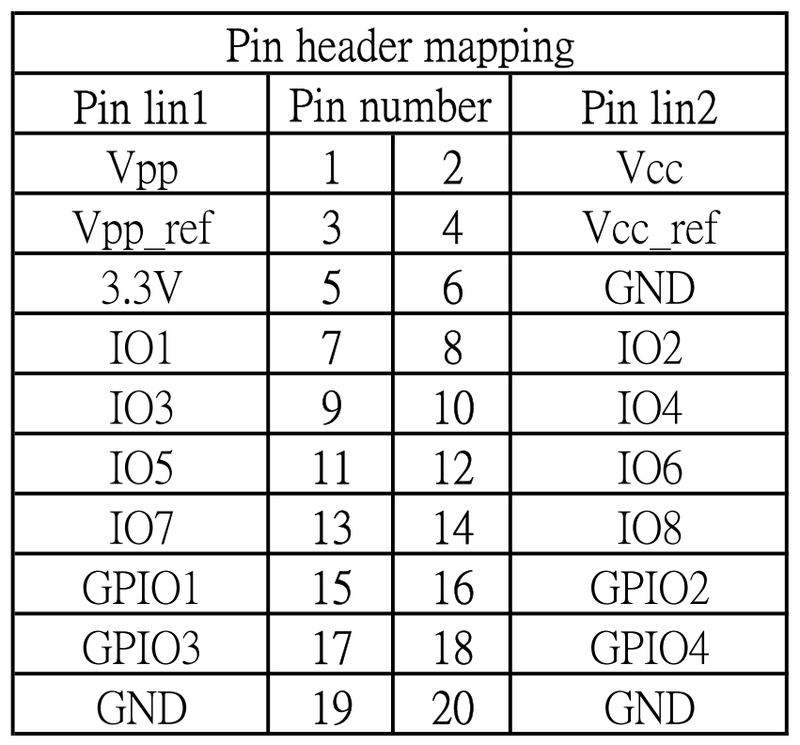 MCU, CPLD, SPI NOR Flash, SPI NAND Flash, and EEPROM. 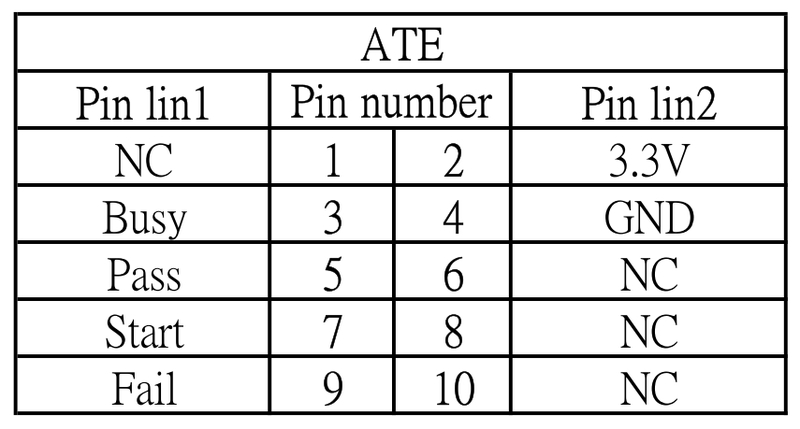 Binary, Intel Hex, Motorola, and ROM…etc. 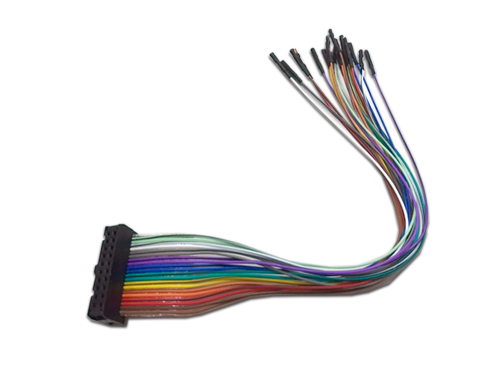 Able to program without connecting to a computer. 2. Provide Command Line, labview driver, and DLL API (support serialization and unique key programming) for redevelopment and integration. 1. Boot up quick self-test. 2. Signal enhancements allow much longer signal cable lengths for integration. 3. 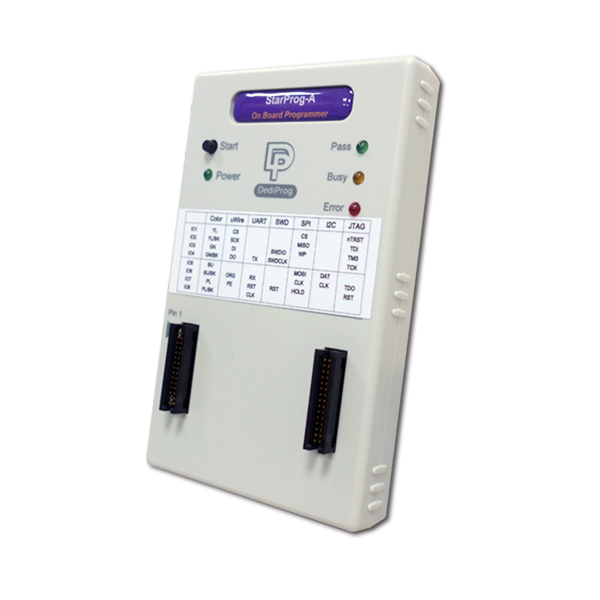 Voltage and frequency control through software can stabilize the programming signal. 5. 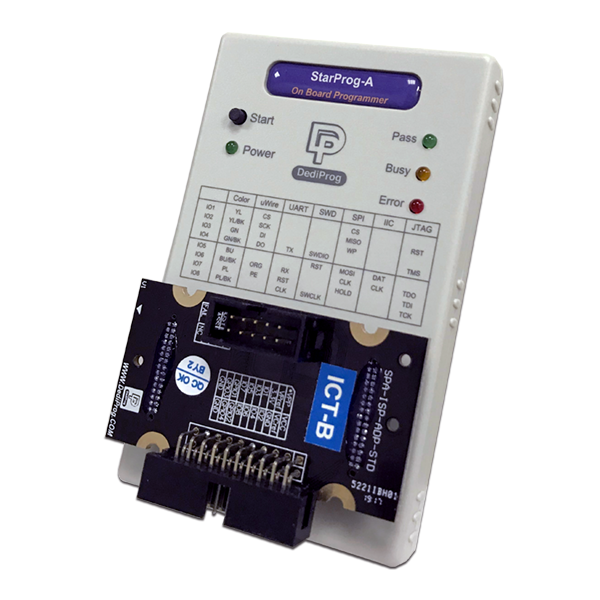 Various standard adaptors are available, and programmable ICs can be programmed through online, offline or stand-alone, and can quickly clarify and eliminate the production problems. 6. Support multiple programmers to program ICs (same file).